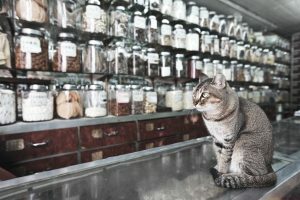 Alt4animals.com is a blog about methods and types of alternative and complementary medicine for animals. We believe you’ve already heard of some alternative and complementary medical techniques in treating severe and chronic diseases in humans, and similar methods have been used in the treatment of pain in animals as well as chronic disturbances such as dysplasia, epilepsy and granuloma. If you want the best for your pet – keep reading! We do our best to give you fresh information every day. At least we try. Why is alternative medicine becoming so popular? It is evident that people increasingly prefer complementary and alternative to conventional medicine in treating their own diseases and illnesses. Same goes for treating sick animals. The reason behind that is quite simple. It’s popular because it works and it’s completely safe for your pet! Complementary and alternative medicine is all about nature and the treatments include (but are not strictly limited to only those!) : herbology, homeopathy, aromatherapy, acupuncture and holistic medicine. On this website, we will mostly write about how healing the effect of using different plants can be if your pet is suffering a chronic disease . Or if you simply want to keep your pet’s body and mind in balance. It is well know that animals get stressed out, too! Just like us, people. It’s up to us to help them. Why should I trust alternative methods and techniques ? We are a team of young researches working and studying at URAF in Adelaide who use the latest technologies to explore and monitor animal behavior in the wild. Our focus is on improvement of medical and veterinary care animals get nowadays. Our thoroughly planned observations made us realize how many wild animals use plants and herbs when in pain, and also to treat other symptoms of diseases. We’re equipped with the best, modern technologies and machines. Recently we started using drones to monitor, explore and analyze animal behavior when experiencing different kinds of pain. Monitoring animals and wildlife from air is quite common nowadays, and using drones takes it to a whole new level! We’re equipped with low-impact nano drones, as well as some super expensive (and also super reliable!) drones. Just to make clear: we do our best not to disturb animals. We want them to have their peace at all times. 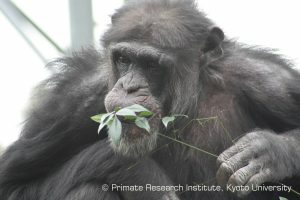 So far we’ve noticed how a great number of chimpanzees chew the Verouta plant to ease the pain they feel. Research of African elephants in Kenya showed us how they tend to chew some plants’ leaves to induce delivery and macaws eat clay to aid digestion. A great number of animals use similar techniques to boost their health. We just happen to mention a few of them. We know animals can’t link cause and effect like humans can, so we can presuppose that the use of plans and herbs by wild animals is encouraged by natural selection. With time, they pass that preference on to their offspring, making it an evolved trait. Nature sure is brilliant! Make sure you always know how special and smart your pet is. And act in accordance. Although alternative methods are widely used in healing animals today, it is very important to consult your animal’s health care professional and act in accordance with his veterinary advice and tips. You could also find your pet a holistic veterinarian. (He or she should be a member of American Holistic Veterinary Medical Association.) and can specialize in acupuncture, chiropractics, massage, aromatherapy, homeopathy or botanical medicine. All the methods used for treating your pets’ illness are supposed to be non – invasive (or at least minimally invasive) and should reduce stress level and symptoms. Today, almost every alternative or complementary technique used for treating humans can also be used in treating animals and pets. You can often see and read about complementary and alternative medicine. Have you ever asked yourself – what’s the difference between those two? We’re here to teach you. A complementary therapy or method is the one you use alongside some conventional (or so – calles “western” ) treatment. An alternative therapy is something you use instead of using conventional treatment and methods. It is wrong to call all of the methods mentioned on this webpage alternative methods. Most of them will do the best for your pet if used in addition to the conventional, regular treatment and medicine your pet’s veterinarian has prescribed and advised you to follow. No matter which one of the methods you decide to take, it is extremely important to listen to your pet’s needs. If the therapy is not working for your pet, it is better to stop than doing some more harm. You sure don’t want that for your pet. Be careful at all times! It’s also extremely important to mention how some of the treatments can interact. So, it’s necessary for your pet’s therapist to know of any method you use in healing your little friend- all the conventional ones, as well as all the complementary and/or alternative ones. They are there to help out. And of course, to help your little friend. To be able to do that, they need all the information. Never do something without consulting the professional. It’s the golden rule!